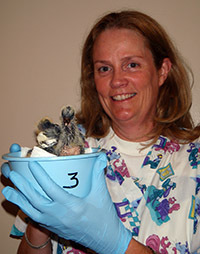 Thank you for your interest in volunteering at the Wisconsin Humane Society's Wildlife Rehabilitation Center! 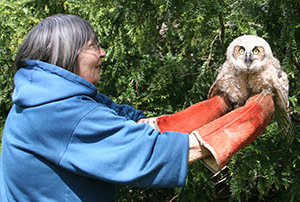 Located at the WHS Milwaukee Campus, the Wildlife Rehabilitation Center cares for more than 5,000 wild animals each year. 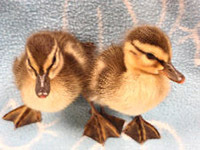 Below you will find information about our volunteer program at the Wildlife Rehab Center and how to become a volunteer. Volunteers must be 18 years of age or older, with the exception of our Orphaned Bird Care Program in which 13- to 17-year-olds may volunteer by themselves. Below are the positions we're currently in need of at the Milwaukee Campus. You will learn more about them at your Volunteer Information Session. Step 1: Attend Volunteer Information Session at the WHS Milwaukee Campus. The Volunteer Information Session will give you the opportunity to hear about our organization, our volunteer program and expectations, and what our current needs are. Please register for an upcoming Milwaukee Volunteer Info session on our calendar here. For the safety of our volunteers and animals, we do require that all volunteers be at least 13 years of age to volunteer. We have many other ways for youth to support the animals and learn about animal welfare. Please click here to get ideas on how to make toys for the animals, hold your own fundraiser or collect items from our “wish list” from the surrounding community to support the animals.